The Genesis Framework from StudioPress is cleanly coded, SEO-friendly and a preferred choice of a large community of WordPress developers. Building a church website using the Genesis Framework as a foundation means that your website will inherit all the goodness packed into Genesis. Not only are you going to be using a time-tested framework, you will also have access to a large community of users who are enthusiastic users and a great source of ready help for your DIY website project. 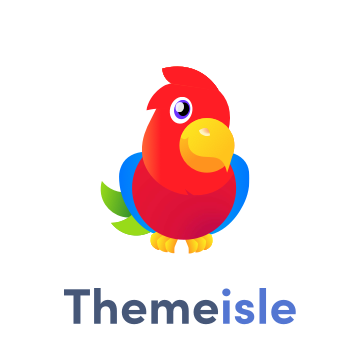 The Genesis Sample Child theme is a great place to start building your DIY website project. After purchasing and installing the Genesis Framework, download the Genesis Sample Child theme and activate it. From there on you can customize the Genesis Sample Child theme until you have it tweaked just the way you want it. If you get stuck at some point, plenty of help is available via the StudioPress support and forum pages. A number of WordPress developers also share tutorials, code snippets and all kinds of other useful tips & tricks on their websites. You may not have the time or inclination to tinker around that much with a child theme. Looking for a child theme that will work almost out-of-the-box for your church’s website project? Here I will list a few selected Genesis child themes that need little or no extra effort to use in your next DIY church website project. I’ll begin with two of StudioPress’s own excellent child themes. I intend to add to this list as time goes on and as I have a chance to get acquainted with more child themes suitable for church websites. I invite you to post your recommendations and user experience with specific child themes in the comments. Community Pro, built on the Genesis Framework, is a premium third-party theme which you can purchase through StudioPress. It is a mobile responsive theme with HTML5 markup that is suitable for a church or ministry website. It has good customization options including custom background, theme customizer and custom header. Additional features include color styles and theme options. When you purchase the theme you get a comprehensive set of instructions on how to set it up that make it easy to set up your website – no coding required! Outreach Pro, built on the Genesis Framework, is a premium theme from StudioPress. It is a mobile responsive theme with HTML5 markup that is suitable for a church or ministry website. It has four color styles, 6 layouts and theme options. Additional features include a custom header and threaded comments both of which can be put to good use in a church website. When you purchase the theme you get a comprehensive set of instructions on how to set it up that make it easy to set up your website – no coding required! Working with the Genesis Framework and its child themes is an excellent way to a well-designed, professionally coded, fully functional website. And, when you are ready to extend the functionality of your website or make complex design changes, there are many excellent designers and developers available. 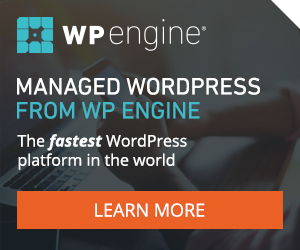 Our name is a combination of two elements: first, WP for WordPress, and second, Bene, which is Latin for good. That about sums up why WPBene exists: to bring all the goodness of WordPress to charities, non-profits, personal bloggers who put their efforts into doing good and making this world a better place for all of us and the generations to come. The WPBene blog will bring you information about the most useful WordPress products, solutions and services that we become aware of. In addition to curating information on WordPress products and services, we will also review them selectively from the perspective of their suitability and usability in a non-profit environment. Our goal is to become a trusted source of information about using WordPress to support the work of charities, non-profit organisations and personal bloggers. We will also make every effort to share the information and present our reviews in a manner that is DIY friendly. My name is Joel and I have been a WordPress fan and user for longer than I can remember. My first WordPress installations were on in-house servers and mostly designed as dual-use applications – an external facing website and an intranet for internal use. It was an exciting time of learning through much trial and error. Those days instilled in me a deeper than average under-the-hood understanding of the technologies that power the Internet (because of so much tinkering around that we had to do to get things working). My skills in innovating solutions and in troubleshooting were also developed in those days. I now offer freelance services for WordPress based website design and development for small to mid-sized charities and non-profits. Whether your project is developing and launching a new website from scratch or involves redesigning, upgrading and/or enhancing the functionality and security of an existing website, I would be delighted if you contact me with your needs. Please use the Contact Form for general inquiries or the Project Scope Form to request an evaluation and quote for your project. I also provide consultancy services for website development, search engine optimization (SEO), social media strategy, development of on-line courses (e-learning solutions) and a number of other functionalities needed by charities and non-profits. Do get in touch with me via the Contact Form and let’s talk about how I might be able to help. If you are a start-up or a small charity with little or no money for your website needs, please do get in touch as I am sometimes able to take up pro-bono work.